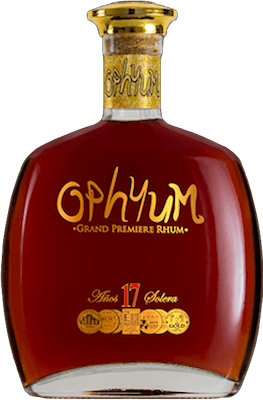 Have you found an online vendor selling Ophyum 17-Year? i smell chocolate, smoke. dried fruit, vanilla. i taste orange peel with smoke and sweetness. dried fruit with peppery mix. woody spices. 3/10 - add 5 points for all sweet rum lovers! full body, creamy, silky, smooth. boring. sugar. in relation to the ophyum 12 it is milder and smokier. more orange peel, less pepper. in compare to the quorhum: less smoke, less pepper, more fruit. 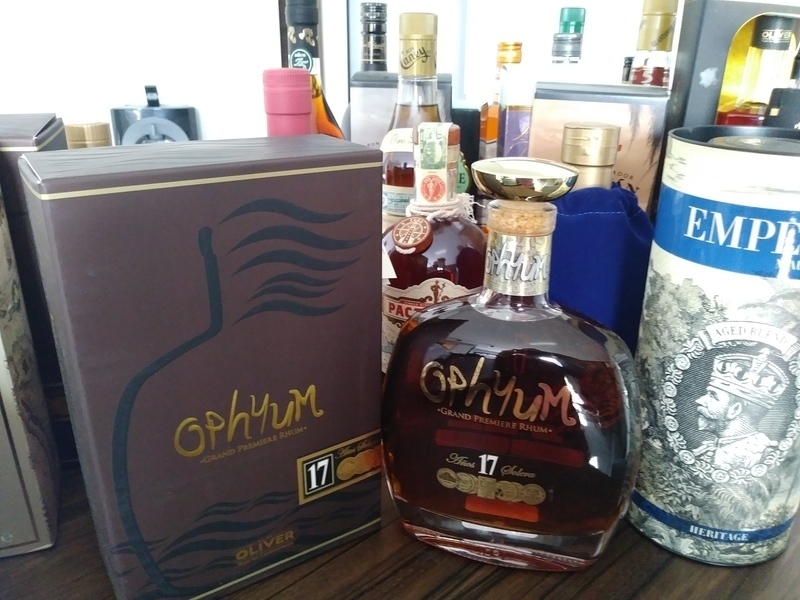 Enjoyed a bottle of Ophyum 17y from Oliver y Oliver while chilling out with my buddies in Germany. The Ophyum bottle is identical to the Vizcaya VXOP 21 bottle and even the flavor profile is 90% the same. Ophyum 17y comes in a very flimsy cardboard box. Ophyum has a bit more orange peels and a bit more peppery taste to it, and it is not as sweet as Vizcaya. Hence it earns 1 higher score. Long but pleasant afterburn. It's a bit too sweet but has a nice aroma with a def presence of the orange peel. It's quite smooth as well. Lekkere zoete rum en een die je niet vaak ziet. Een aanrader. I would say it's a must to try especially when you are new to this and want to get away from the commercial rum's.